Patty McNulty joined Stop Loss Insurance Brokers, Inc. 14 years ago as an Account Manager, managing ten municipal accounts. She moved into the Operations Manager position in 2005 and now her job responsibilities include general office operations, technology, and marketing. 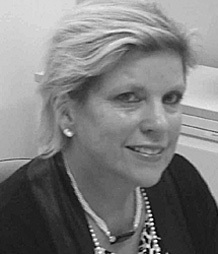 Prior to working with Stop Loss Insurance Brokers, she worked as a Legislative Aide at the Massachusetts State House, for International Truck Leasing Company, and as a sales representative for a jewelry company in New York City. She graduated from Aquinas College with a marketing degree and continued her studies at Suffolk University. Patty enjoys owning her own wedding floral business “Petals by Patty” for the past 30 years. When not following her Boston sports teams, Patty’s biggest enjoyment is sharing time with her husband and daughter at their Cape Cod home.